Come 18th August and Partition: 1947 would be hitting the screens. Directed by Gurinder Chadha, the film has already seen international exposure coming its way, what with theatrical and festival screening across U.K., Germany, France, South Africa, Australia, and the States to name a few. Released in English there as Viceroy’s House, the film is now arriving in India right on time as the country celebrates its 70th year of Independence on 15th August. While the film boasts of an eclectic mix of cast from India, United Kingdom and United States of America, it is also special since Huma Qureshi has an integral part to the play in the narrative. As a Muslim girl who is in love with a Hindu boy and finds herself in a predicament at the time of partition, Huma has already seen quite some appreciation coming her way from the international press. 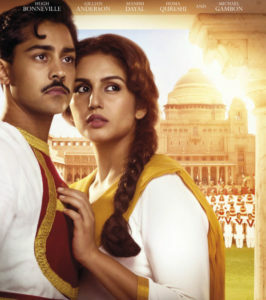 When the film was traveling abroad, Huma was amazed to realize that not many were aware about India being a colonial country with the Great Britain till just about 70 years back. As for the performance part, Huma’s director Gurinder Chadha – who has worked with the likes of Aishwarya Rai [Bride and Prejudice] and Shabana Azmi [It’s a Wonderful Afterlife] in the past – is happy to have roped in the actress for her most ambitious film till date. We look forward to all of that and more once the film releases all over on 18th August. 16 queries in 0.491 seconds.